As bikini season approaches & everybody is on a mission to tighten up & look their very best for the hot summer days, it’s time to answer THE BIG JUICY QUESTION: is it really possible to get in shape quickly & in a healthy manner? After all, it seems like a good chunk of the fitness industry is all about getting incredible results in a blink of an eye! Lose 10 pounds in 10 days? 30-day Body Transformation Diet Plans? Get Fit in 4-weeks Workout Programs? Do they work; is there really a shortcut to getting in shape and truly being fit in a beat? Do Shortcuts Exist to Getting Fit? If so, how does one get in a great shape, in a fairly quick matter while staying healthy? If not, why do you believe that shortcuts simply don’t work! 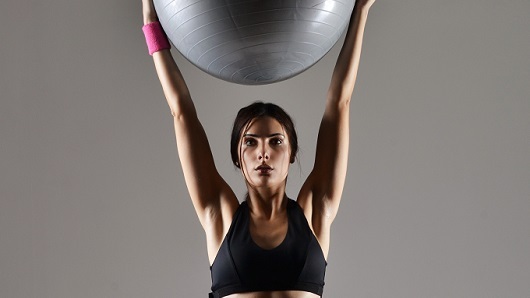 Let’s hear what our 6 guest fitness bloggers have got to say…. There is a shortcut to getting fit and staying fit long-term. I don’t believe in drastic changes overnight, mostly because those results can’t be maintained long-term. But if you stick to the basics of training and nutrition and keep everything sane and simple from the very beginning, then not only will you achieve the results you’re after, but you’ll maintain them long-term. This lifestyle approach will save you a ton of stress, frustration, and heartache from traditional quick fixes. My suggestion — don’t search for a “quick fix”. Instead adopt a workout routine and nutrition guidelines that fit into your life and suite your personality. Building a better body and getting fit is a process that should enhance your life, not dominate it. Unfortunately shortcuts do not exist when it comes to getting fit. It’s about maintaining a balance between fitness, diet and overall wellness. We must choose realistic life style habits that we can continue and practice every single day. Extreme diets and fitness plans do not work. Let’s be real… If you want to get in shape in a fairly quick way AND keep the weight off, here are some quick tips! Work out 5-6 days of the week. Balance your workouts between all different kinds of physical activities: yoga, walks or runs, hiking, weight training, etc. You want to use all of the muscles in your body which can only happen through different types of physical activity! Give yourself at least one day to give your body a rest. Low carb diets do work! Try to stay away from carbs and sugars as much as possible. If you are trying to keep the weight off long-term, still let yourself indulge once in a while. As I said, it’s about BALANCE. Cutting out sugar and carbs forever is unrealistic so choose a diet plan where you allow yourself to indulge once or twice a week! Yes, you can have that cookie! Find foods that satisfy you. If you have just a salad, you’ll probably be hungry an hour later. Eat filling meals that are highly nutritious and somewhat low in calories, leaving you satisfied with your meal. It’s all about balance! Finding those foods that keep you full, finding that exercise that challenges you perfectly and finding time to rest and relax to give you energy and vitality. My bikini competitors can make significant improvements the week prior to their competition by manipulating their carbohydrate and water intakes. However, there are no short-cuts to getting fit. The body can make rapid improvements – I’ve had clients lose 30 pounds in a single month while gaining tons of functional strength. However, to build a truly impressive body, with shapely glutes and a lean midsection, one must have patience. Every month you will look better and better, but hard work, willpower, and consistency are the keys to an impressive physique. Keep your mind focused on what you’ll look and feel like in one year if you do everything right. In fact, I had a friend do just that, and I interviewed her here: Oh What a Difference One Year Can Make. They do — but not in the way most people think of them. There’s no magic workout or pill or piece of equipment that will magically make you uber fit, but lots and lots of research shows that even getting moderately active a few times a week can give you HUGE health benefits and help you live longer. So whether it’s taking a 10-minute walk or dancing around your living room for a couple songs, it counts. And if you’re already active and really want to boost your fitness level, doing a short high-intensity workout (like sprint intervals or Tabata) really can get you results in a short amount of time. The key is getting moving! I do believe shortcuts EXIST to getting fit. Do I believe IN these shortcuts? No. Shortcuts are only going to be temporary fixes for the real problems. Shortcuts are typically restrictive diets that aren’t maintainable over long periods of time. They may teach you some things about diet and nutrition, but in the long run they’re not what’s going to be maintainable. A good nutrition plan should be all about balance and moderation with everything including carbs, fats, protein, and even the occasional treats! Unless you want to cause long-term harm to your body the shortcut approach is not the correct way to go about it. Here’s the hard truth: Change your lifestyle and stop looking for the easy way out! It’s going to take dedication, hard work, and perseverance but it is possible. Make sure you’re getting adequate macro intake (protein, carbs, and fats) for every meal. Myfitnesspal is a great way to do this for beginners trying to track their intake! Make sure you’re getting enough nutrients overall daily. Look up your BMR and you should be eating above that amount on a daily basis never going below. Myfitnesspal tends to have a formula that I don’t agree with that goes below your BMR so make sure to correct it if so. Don’t count vegetables! I mean really those 9 calories from an entire cup of broccoli? Load up! Water. Water. WATER! Drink at least half your body weight in water daily. And lastly, don’t restrict yourself from those things you enjoy most. I love treating myself weekly or heck daily with something I love if it’s chocolate or peanut butter or a nice juicy burger. It’s just all about having that one tablespoon instead of the whole jar. Moderation is key! There is a shortcut to getting fit! It’s called Getting After It! The body is incredibly resilient, adaptable and strong. It’s our MIND that needs the push. What if someone told you they were going to pay you $100,000 to get in shape as fast as possible? Do you think you’d sit around waiting for it to happen? No way – you’d be getting up at the crack of dawn doing a run, paying attention to your food intake and learning as much as you could about good routines to incorporate throughout the week. Just look at how quickly movie stars are able to transform their bodies when preparing for a new role! This fast track to fit doesn’t come without some sacrifice though – and I’m not talking about your health. In fact, the only way you’ll get fit and stay that way is if you approach the entire process in a balanced way. So how do you do it, and what do you need to sacrifice? First, you need a clean eating plan. No amount of exercise is going to get you in shape without a solid, balanced nutrient profile in place. That means you’ll want to be sure you’re including quality protein, complex and simple carbs, healthy fats and an abundance of greens throughout your day. I find the absolute best way to do that is by planning ahead of time, having food prepped and ready to go, and keeping yourself fueled throughout the day to keep your blood sugar steady. Second, you need a great exercise routine to complement your goals. For example, if you’re looking to decrease your body fat and pack on a little lean muscle, a combination of explosive cardio and multi-joint exercise would be my choice. HIIT – or high intensity interval training burns more fat in less time than extended cardio. And nothing builds muscle faster like multi-joint exercises like “the big 3” – squats, deadlifts, and bench presses – as well as lunges, step-ups, overhead presses and rows. Multi-joint movements activate more muscle groups per exercise, stimulating growth throughout the entire body due to the release of anabolic (muscle-building) hormones. The final piece of the puzzle is to make a plan and stick to it. That’s the part I mentioned in the beginning, called “getting after it.” It’s easy to start something new…but harder to follow through when it gets hard. That’s why having support from a community, getting fit with a friend or partner, or having a coach can all help you stay on target when you want to quit. Just remember – nothing looks as good as healthy feels! It’s time to hear your thoughts, have you ever gotten into shape quickly, did it last & what are your fitness goals & plans for this summer? Fitness is something which can be considered as a true luxury by anyone in the world. They say ‘health is wealth’ and there is no truer statement ever to be spoken. Without proper exercise levels, we not only become lethargic but also less productive at whatever we do. |A fit body leads to a happier self, better productivity at home and work and also improvement in our level of self-esteem. Whenever you can find the time, make sure you walk, jog or run. Instead of taking public transportation or your own vehicle to go to small distances, consider swift walking as this is one activity which can help you stay in shape, stay active and energetic. Walking for about 30 minutes every day can be a great way to move forward towards your fitness goals. Walking is not just easy but fun, doable and better than any other exercise. Another superb way to stay fit is to go swimming! Yes, this fun activity is a rather great way to stay in shape,improve your stamina and lose the extra calories. This is again an activity which can be easily included in your daily routine and is enough to ensure that you can reach your daily and monthly fitness levels. Rather than using your car for going small distances, get that bicycle out of the garage and make use of it. Cycling is a superb way to raise your energy levels, improve your stamina and increase your overall health-being. These days, there are several wearable gadgets and fitness trackers which can easily help you monitor your cycling by clubbing it with an app on your Smartphone. These fitness tracking apps work like your personal coach and help you stay motivated to perform better than the last time each time. The kind of foods you eat and the amount of food you eat is also integral to the overall fitness levels and regime. It is important to eat a very balanced diet, one which has fruits, vegetables, whole grains, fiber and other important nutrients in it. Drinking a lot of water throughout the day and having other healthy drinks like coconut water and green tea etc. can also be beneficial. Another way to stay fit and healthy is to inculcate all the right habits in your lifestyle. Make sure you quit smoking and reduce the alcohol consumption. Avoid doing drugs or getting involved in any other thing that might not be good for your health. These habits may heavily play on your health and may deteriorate it badly. Another way to ensure that you stay fit and healthy is to make use of wearable technology such as fitness trackers, pedometers, calorie counter apps and other such latest fitness bands etc. Start Smarter in 2015 – Fuel your Body Like a Pro!